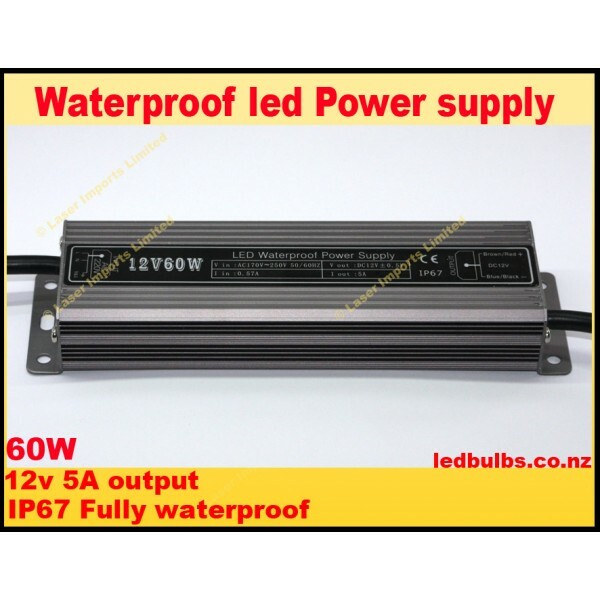 This can power 10 of our waterproof led strip lights connected together or 12 Mr16 led bulbs. IP67 – This means that it is fully waterproof and can be used outdoors and in wet conditions. It is fully expoy filled. Great for use with refrigeration led lighting, outdoor lighting, garden and deck lights, CCTV power supply or anywhere where you need to mount a power supply outdoors. Aluminium housing with mounting holes at each end. Note this needs to be hard wired in by an electrician.